With the HEAL Food Alliance, this food justice activist is taking it national. With the HEAL Alliance, the goal is to cast the whole food system—with all of its often opposing challenges—as a single challenge worth tackling as a unified group. HEAL is also working with Washington, D.C.-based group Food Policy Action, which rates members of Congress based on their food votes, to get the food system on the presidential candidates’ radar with the Plate of the Union campaign. The group was at both political conventions this summer, where it kicked off a food truck tour, and they also have a campus challenge, a petition and social media campaign underway. 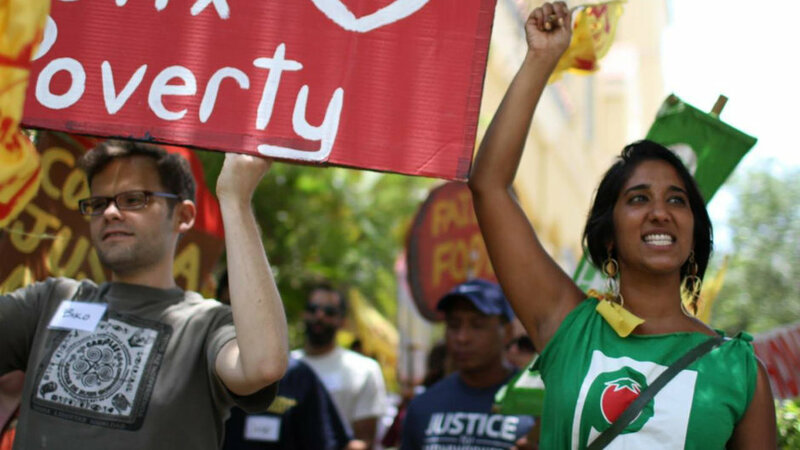 It has also hired campaigners in five states—Iowa, New Hampshire, Ohio, Pennsylvania, and North Carolina—who are working closely with groups already making local change on the ground in areas such as agriculture, food access, and food workers’ rights. The organizers are attending town hall meetings and community forums for both candidates to highlight the fact that food is deeply tied to other big election year issues, such as national security, health care, and income inequality. This article originally appeared on the Food &Wine website in partnership with Civil Eats.